wow, awesome! good for you! Cool! What a great idea! Can't wait to check out the blogs. 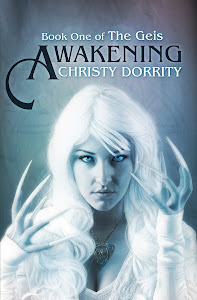 Yay Christy! Is that a picture of you by the fence on the cover? Looks like it...turned out great! Very nice Christy. Looks great! Keep up the awesome work. This is so exciting! Let me know when your story I read at Wolverton's is coming out... (really great story). I am having a Father's Day giveaway on my blog if you would like to stop by. Very cool! I love reading, blogging, and cooking - what a combo! Thanks for letting me know about this! :o) Count me in! What a great giveaway! I'm trying to cook more ... I love making new things! Amazing giveaway! I posted the giveaway on our Twitter and on our blog. What a fun giveaway, count me in! What a wonderful treat in more ways than one! Happy Father's Day to all of the Dad's and Father figures out there! Your book looks awesome. I am excited to check out all the participating blogs. Awesome cookbook! I want one! What a wonderful giveaway! I'd love to win! Awesome giveaway! I love cookbooks. Thanks for the chance. Wow, this is pretty cool..
Whoa; I'd love to win a Kindle! Thanks for the giveaway!!! I would love to win a Kindle. What a great idea for a giveaway! Thanks! What an awesome giveaway! The book sounds great, like a family cookbook of bloggers. The Kindle sounds great too! Thank you for a wonderful opportunity to win a kindle and a great book. Thank you for this amazing giveaway. 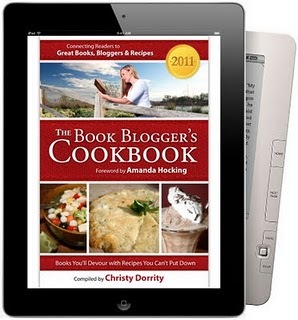 I would love to win a kindle, and add your cookbook to my collection. Awesome giveaway! The cookbook sounds great. I'm sure I'd find a few gems in there. I coud certainly use a Kindle. I'd love to win a kindle! Great! A new cookbook so I can whip up something new and yummy to munch on while I read a fantastic story I've been dying to download on my new Kindle! This is a great contest! I love cookbooks and I am always looking to add one to my collection. Plus a chance to win a kindle, who could ask for more? Great giveaway. I would so love to have a Kindle. Thanks for entering me. Awesome giveaway. Thanks for the chance. Thanks for the great giveaway! What a nice blog site!! I love the cover on the cookbook. Yes, yes, yes....I'm a read-a-holic and addicted to recipes. This would be the perfect win. This book sounds so delicious!!! I can't wait to read. Looks and sounds awesome! I love looking at cookbooks! Hi Christy! Awesome job on the cookbook and all your other endeavors! Looks fabulous. And even more dangerous! There's only so much will power in the universe and these recipes will probably require it all to resist. I just purchased the cookbook! Thanks for participating - can't wait to try the recipes. I have been enjoying your book all day today!! It's great and just the beginning of amazing success for you to come! I tweeted about your book launch! Wow! I love the idea behind this book! Amazing! Love the concept of the book! Just fabulous. It looks wonderful. Awesome :) Great way to promote your book! Sounds like a good read!